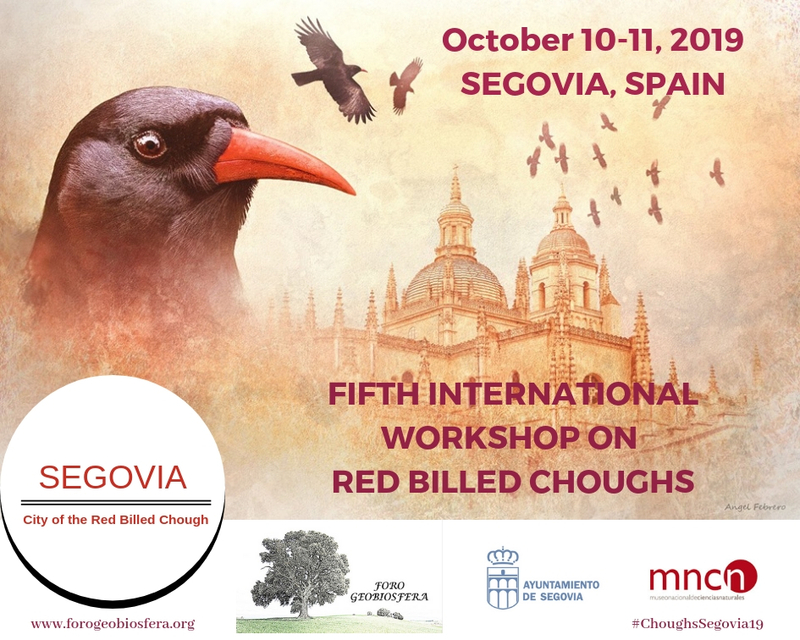 At the Fourth International Workshop on the Conservation of the Red-billed Chough held in October 2013 in Vila Real (Portugal), it was unanimously expressed that the next workshop should take place in Segovia, Spain. 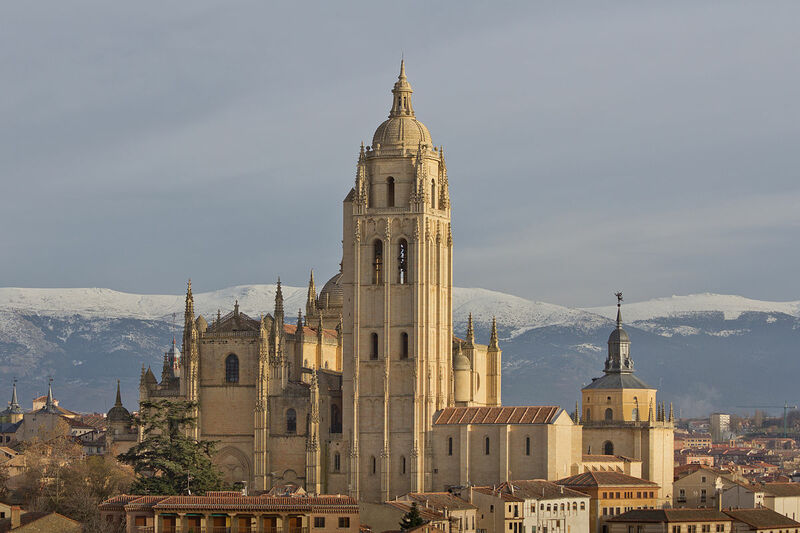 Segovia is not only beautiful but it is also full of choughs amongst the famous buildings. What better place? 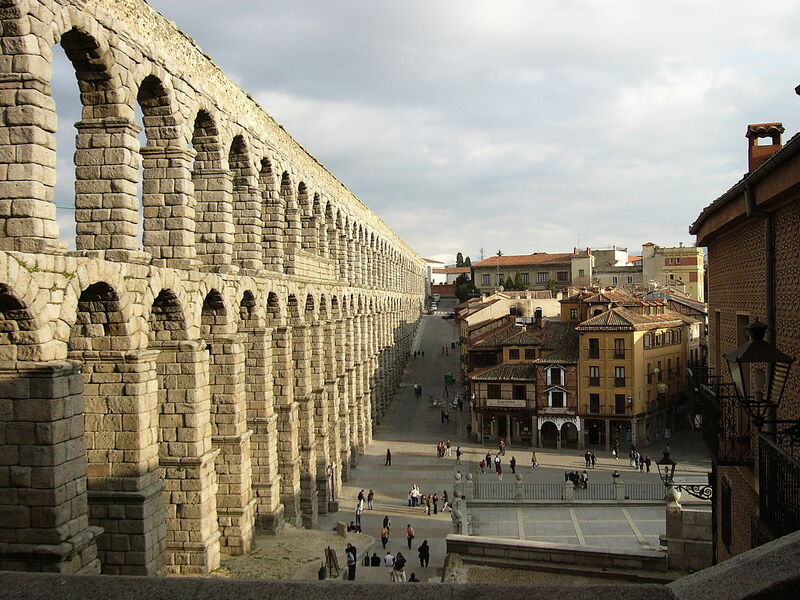 Foro GeoBiosfera in collaboration with the National Museum of Natural Sciences of Madrid (CSIC) and with the support of the City Council of Segovia, announces the holding of this next Workshop, inviting all interested parts to participate. This is the first call of the Workshop. In the near future there will be complete information on aspects of the event including the precise location of the meeting, communications by road, bus, train and plane, places of accommodation, registration fees and scope of services offered. The organisers will also answer questions that the participants may generate. 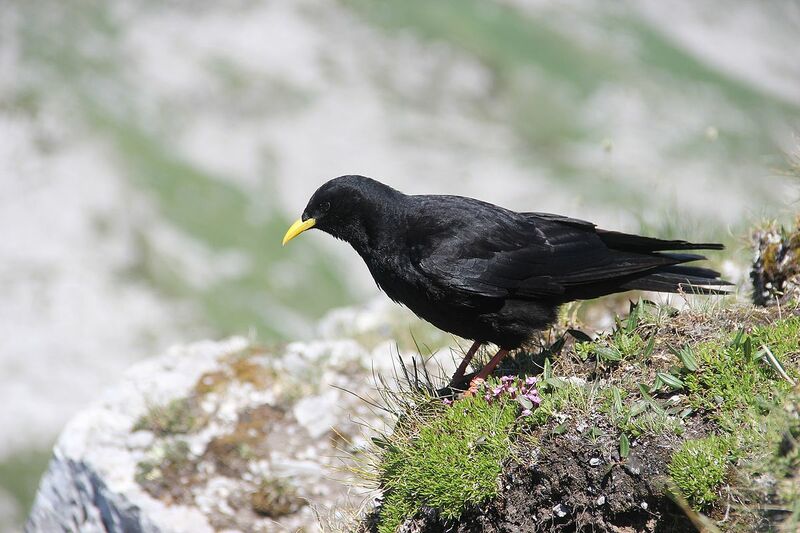 This Workshop is open to all interested people, professionals and those from public and private institutions alike who are keen on choughs, both red-billed and Alpine (yellow-billed) choughs. Cultural: literature, history, music and exhibitions of painting, photography, crafts. 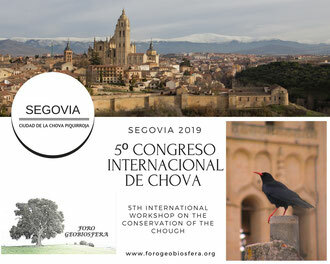 The organisers have developed two committees to oversee the event structure: an organizing committee from Foro GeoBiosfera and a scientific committee composed of researchers. 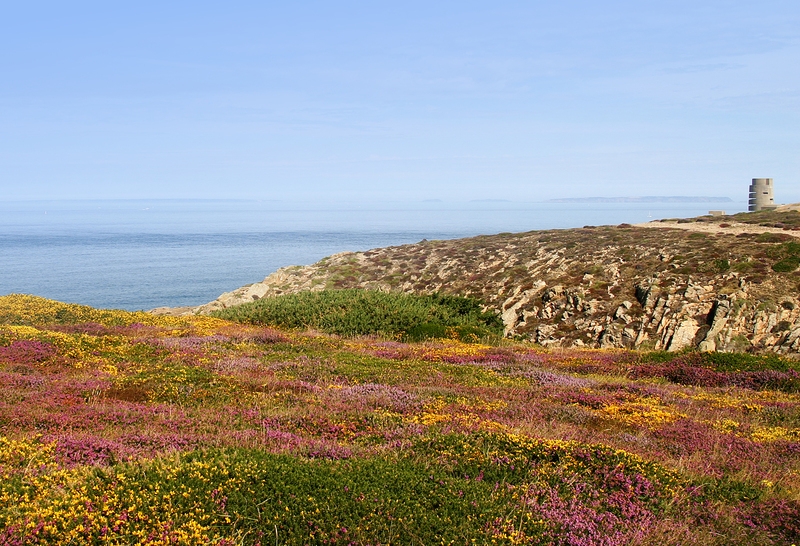 We hope that this event will be an outstanding success in the scientific and conservation worlds of these unique bird species.